Despite all I read about the way big data is shaping a more informed marketing landscape, the contrary-ness of junk mail still makes me smile. 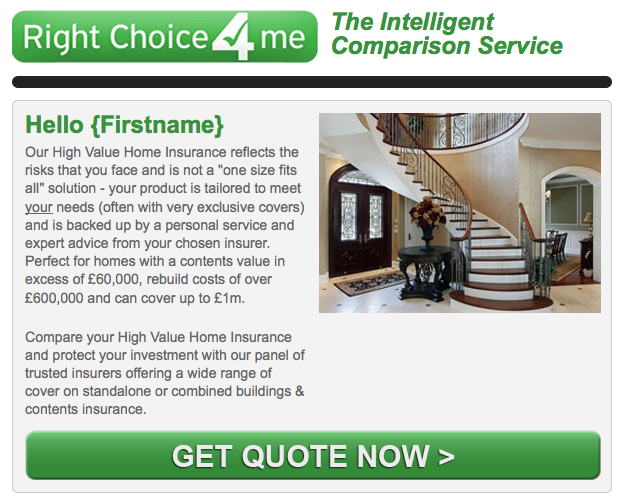 Here’s one I just received this morning, as I’m apparently the right kind of ‘firstname’ for a service tailored to me. And of course with an ‘unsubscribe’ link which I’m sure would mean my mail address going straight into another database and back into the lists of spammers. But does spam and junkmail work? According to one study, paper junk mail has about a 5% success rate so while it’s not great you could argue that’s not a bad return on the marketing effort. Selling stuff to people who you no idea if they need it. “for junk mail, with sales increases recorded for a number of products including a 67% jump for disposable razors and a dramatic tenfold increase for sandwich toasters. By contrast, the in-store radio advertising had little or no effect on sales.” Source. But what about spam e-mail? There’s plenty of advice I can find about every spam-based subject under the sun, except whether any of it actually works – I’m not espousing it as an approach, but I’d really like to know.